A show in production at Channel 17. 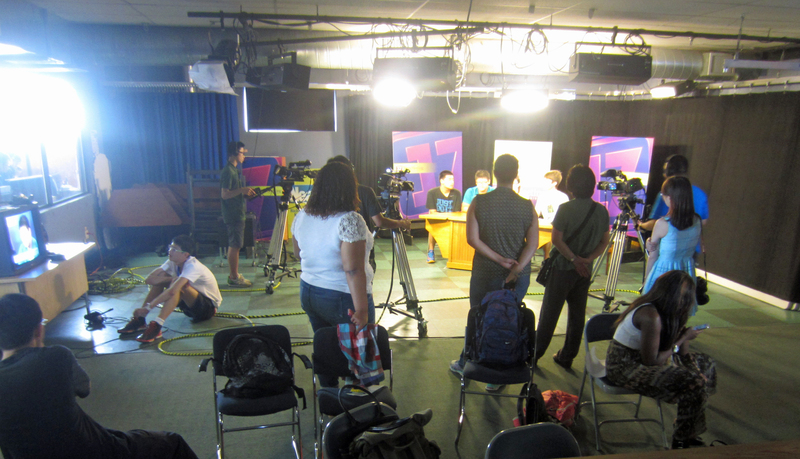 Each of the three community media centers – Channel 17/Town Meeting, RETN and VCAM – offer hands on workshops in how to use video cameras and other media making gear. With a few hours spent in a session, you could be in the studio making your first show or out in the community recording a project! 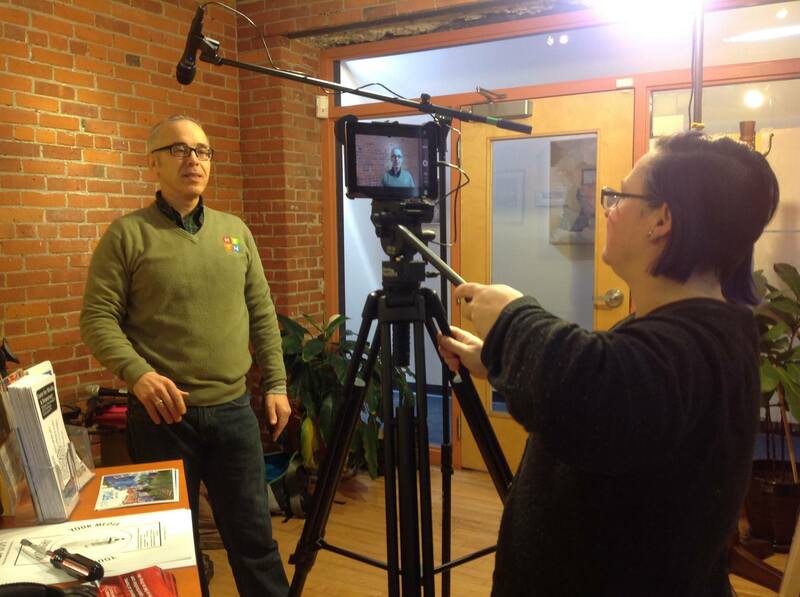 RETN’s workshops get you up to speed on ipad productions and more! Visit the RETN website for the latest workshop listings. 1st & 3rd Saturdays of the month, 11am-1pm – VCAM Orientation. Tour the VCAM studio, learn the basics of media making, and the policies of becoming part of VCAM. This workshop is required to become a member and access any of VCAM’s services. Walk-ins welcome, free and all ages. 2nd & 4th Saturdays of the month, 11am-1pm – Digital Editing. Learn how to create awesome media projects through any of the top editing softwares available (Final Cut Pro, iMovie, and Adobe products). Prior registration is required for this workshop, call VCAM at: 802.651.9692 Free and all ages. 1 on 1 workshops also available for orientation, camera use, or digital editing as requested. Additional workshops on a variety of topics are schedule throughout the year. Full list of topics here. All workshops are held at the specific community media center, unless otherwise noted.